Over the last few summers Salut has resorted to itching the dock of his tail on whatever he could get it on. However this year it started in the winter and never stopped. I have tried everything I could get my hands on – zinc cream, MTG, tea tree oil, cleaned his sheath, washed it regularly. He is dewormed regularly so this was not an issue. Well this summer in desperation I tried something that I use for my sensitive skin in the winter – Selsun 2.5% Extra Strength. If you suffer from seborrhoeic dermatitis, this stuff is as good as gold! I washed Salut’s tail in it twice and then once a month since then and the itching has miraculously stopped! His tail is finally growing back and he no longer shows signs of itching it. Selsun is available at your local pharmacy in the skin care section. TIP: This stuff does not smell great and will make your hands stinky for days, so I always use rubber gloves when applying it. 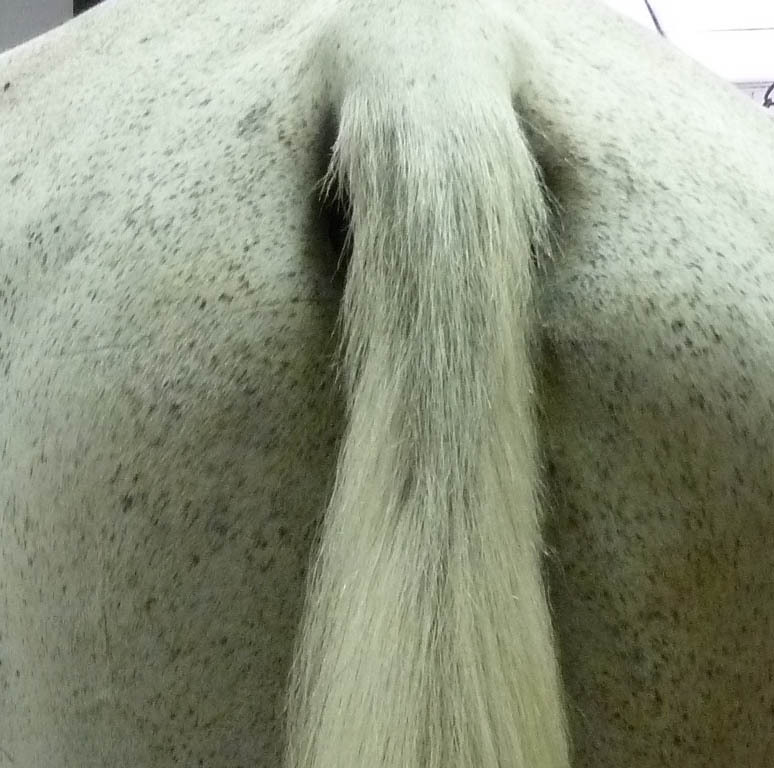 Salut’s tail two months after first using Selsun Blue 2.5%.